Freight Shipping for Loads of Any Size | Valente Trucking Inc.
For fast freight shipping for loads of any size, including LTL freight, come to Valente Trucking Inc. in Calumet Park, Illinois. Our specialty is intermodal containers from Chicago ramps and terminals. However, we are also capable of making your pickups or deliveries outside of our service area, acting as a broker with other carriers. Call for a quote, regardless of your shipping location, destination, or commodity. 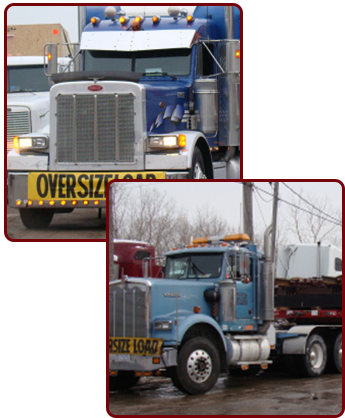 Valente Trucking Inc. is capable of hauling a wide variety of products, including steel bars, coils, pipes, plates, tubing, and structural steel. You can also ship aluminum products, lumber, forms, brick, concrete, forklifts, machinery, and heavy equipment. These are just some of the items that we are capable of hauling, so call for details. Be sure to ask about expedited service if time is a factor! We are looking for experienced flatbed and hauling drivers with a minimum of two years' flatbed experience and a good driving record. Our local drivers are home every night, and our regional drivers are generally home every other night. Our service area reaches approximately 400 miles from Chicago, and average hauls are about 225 miles. Benefits include hospitalization, dental, vision, long-term disability, Aflac, 401K, vacation, and prepaid legal. Our safety director, Craig Godsey, is happy to answer your questions about the job or connect you with someone who can help. We are expanding our operation to include more specialty hauling. We have 35 & 50-ton RGN's (Removable Goose-Neck Trailers) extendable flatbed trailers tandem and tri-axles that open from 60 to 80 feet, step decks, extendable step deck, step deck with beaver tail and hydraulic tail trailers are available. We also have tri-axle tractors for heavy haul loads. 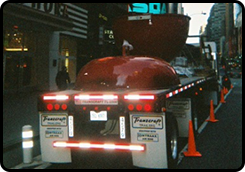 We can do all types of permit loads, over width and over height shipments, and rapid freight transportation. Call us today for a quote.